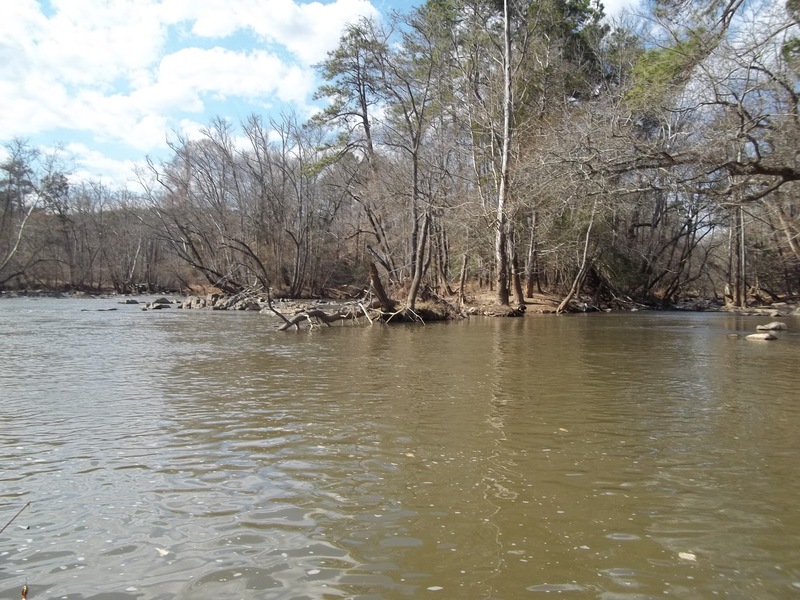 The river was finally close to a normal level this weekend, so I called a good buddy and a trip was planned. We arranged to meet another good friend on the Cape Fear river on Friday evening after work. We would fish for bait, then for gar and catfish into the evening hours. The weather was predicted to be fair and rain was supposed to stay away. We met at a local lake first and caught bream on small worms, then made our way to the river. 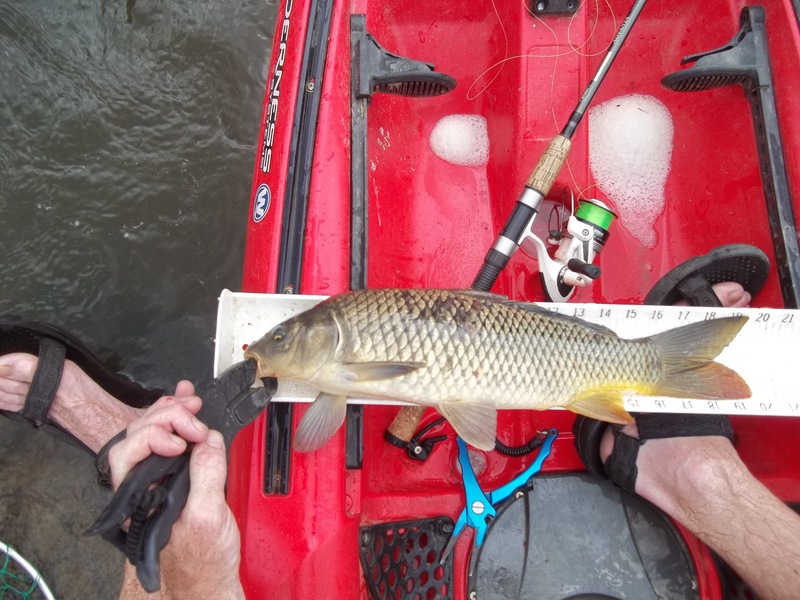 Once we launched I started off throwing a crankbait, and quickly caught two carp. They actually ate the bait. Then after a little while I landed a 17″ shad on an in-line spinner. We had plenty of bait. Drew started off the action with a few gar and catfish. 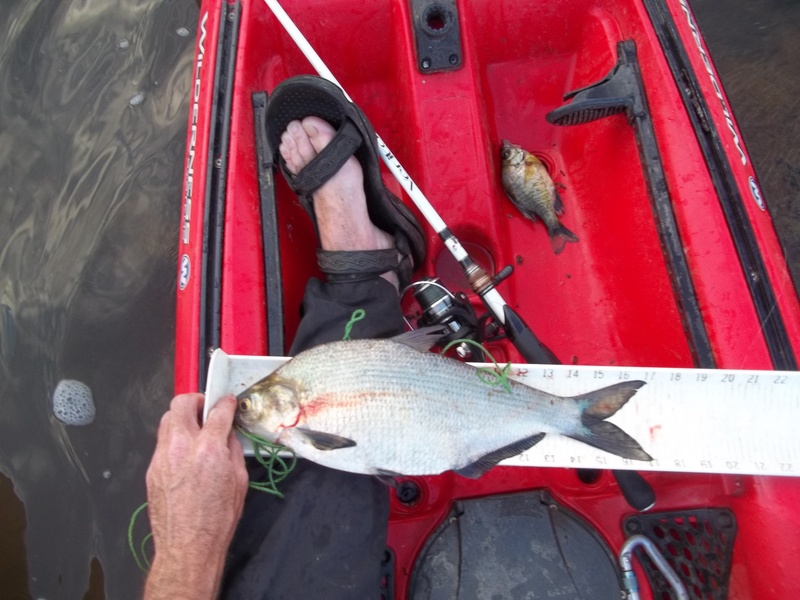 He caught his fish on cut bream fished under a small float, which he drifted down the river. 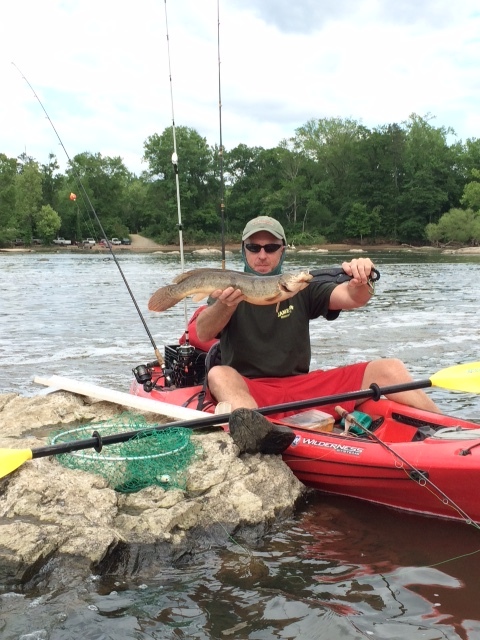 The key to catching these fish, especially the gar, is letting them take the bait freely. The less resistance they feel the better. 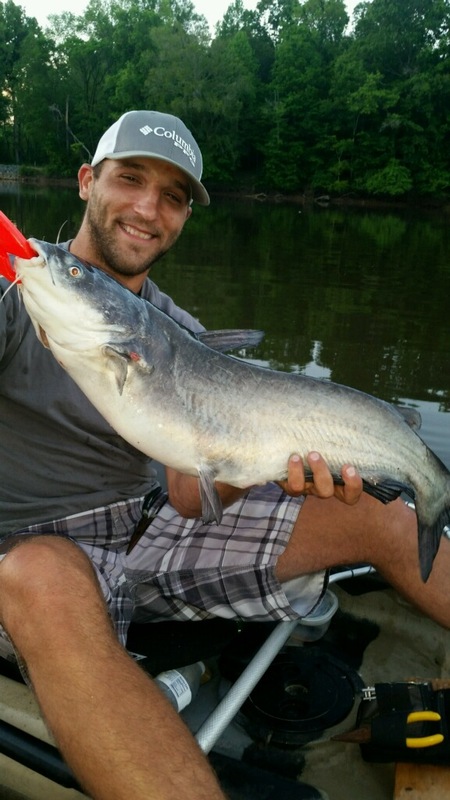 Shawn also caught a nice blue catfish before the night was over, (Feature Photo). I hooked into something big after hours of soaking bait, but it ran me over a rock and cut the line within seconds of taking off on a blistering run. We fished til near 10:30 and called it a night. We had one slight mishap. After pulling anchors to make our way out, Shawn realized his paddle was missing. 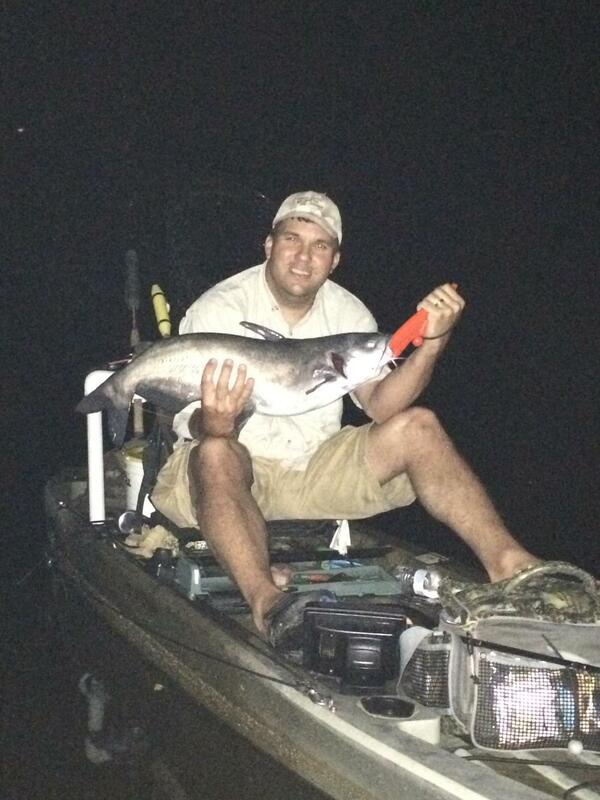 We thought it must have come off the boat when he was fighting his catfish. So Drew towed him back to the launch. It wasn’t a big deal, but good thing we were all together. Drew and I got back on the water the next morning, and started off catching fish again on artificials. 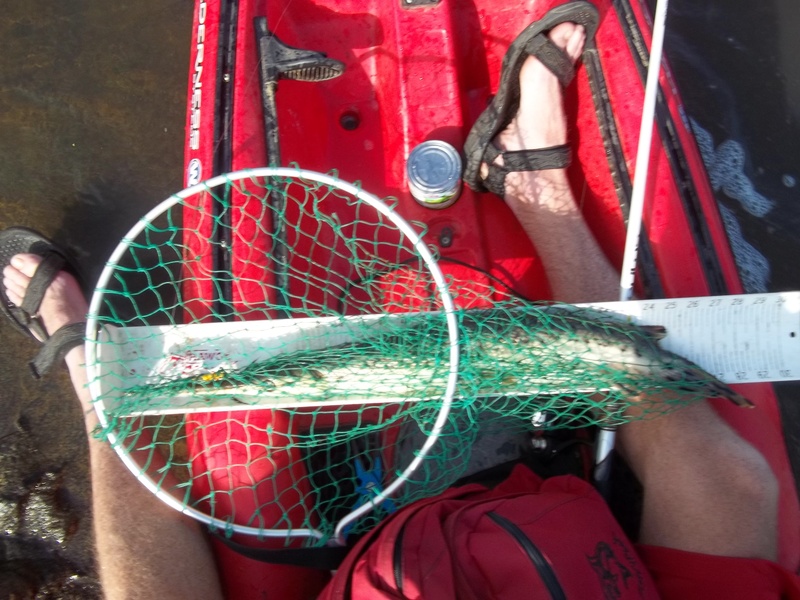 I hooked a 29″ longnose gar on an in-line spinner, and to my surprise brought it to the boat. Then, I fished for carp for a few hours, and caught a load on corn, and Drew fished for gar and cats again and caught a few more too. He came paddling up after we split for a while holding an extra paddle…Shawn’s from the night before! He luckily found it down the river a bit. Now that was a surprise. Just before leaving I threw the crankbait a few more times and hooked into a 23″ bowfin. It was a decent mixed bag of fish caught over a two day period. No giants, but they’re out there. It’s actually a nice and useful piece of info. I am happy that you shared this useful info with us.